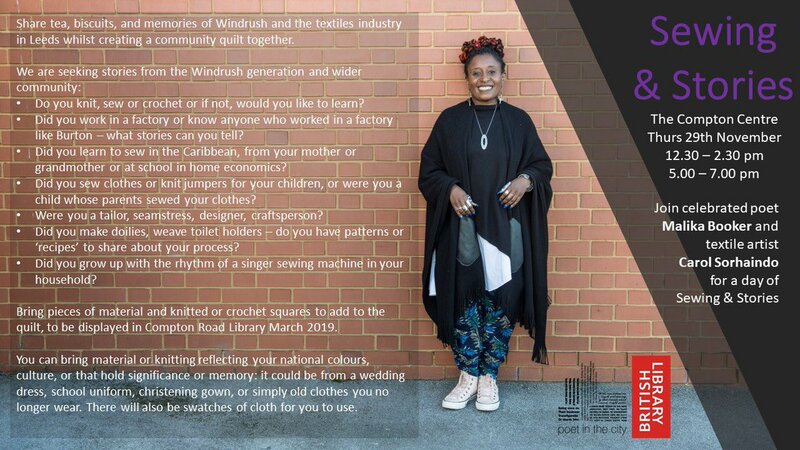 Sewing & Stories is an interactive event in Leeds this Thursday 29th November. 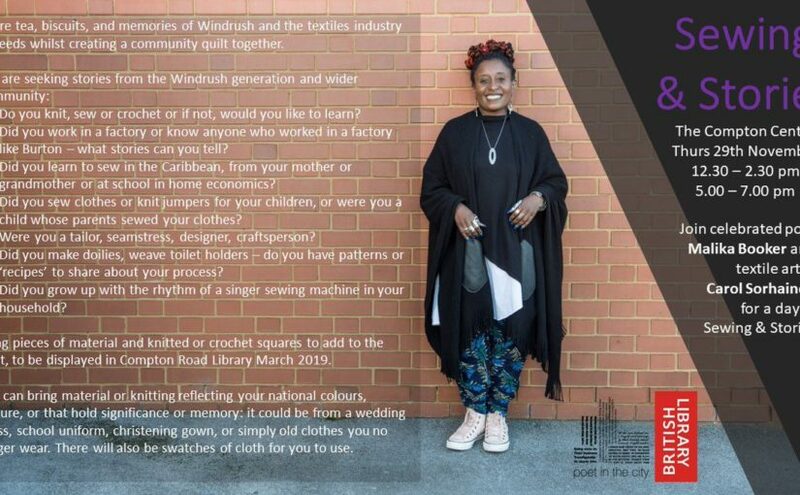 The organisers would like to gather memories of knitting, crochet and sewing, personal, domestic and industrial, from the Windrush generation and anyone from the wider community in Leeds and the surrounding area. Those can’t knit, crochet or sew are also very welcome. KHF only just received notice, but it’s a brilliant idea and looks like a lovely event. See the flyer for more information.